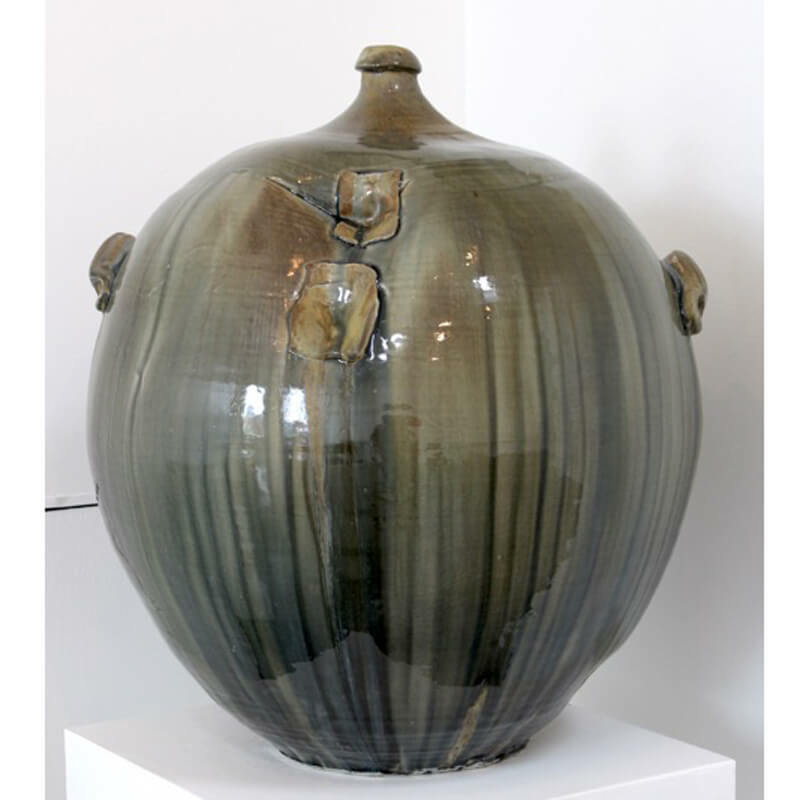 Jon Bashioum is a wood fire potter that was born in North Carolina and moved away shortly after. Having never seen the place where he was born, Jon took to rambling around the country and has adopted Montana as his home. After earning his bachelor’s degree in music from Bethany College in West Virginia, and narrowly missing an art degree due to a clerical error, Jon pursued a variety of global experiences in ceramics. He is currently an MFA candidate at Montana State University. The idea of an area being “home” interests him due to his perennial lack of a location designated as home. His explorations of utilitarian wares represent a curiosity in the regional lifestyles that can only exist from long-term inhabitation, but are best appreciated by the traveler. With his eyes ever on the road, Jon is currently renovating a charter bus with his partner, Danielle O’Malley, and turning it into the mobile gallery: The Beyond Gallery. My current body of work explores “home” and how individuals curate personal space in response to their endemic environment. This interest stems from my observations and comparisons of human spaces pertaining to culturally identifiable localities. In this globalized world, our locally available resources are expanding while losing regional identity; yet, our lifestyles are still influenced by larger forces such as the weather which determine what crops can grow and how they are stored. The home and the goods within it reflect the area in which it resides, and the utilitarian wares indicate how the people within that home navigate their environment both practically and aesthetically. By focusing on fermentation, I am delving into my interests in the methods of food storage, preservation and presentation and exploring how these techniques can be globally similar, regionally diverse and individually curated. My pots ruminate on how ceramic vessels play a timeless global role in cultural and individual identity since they are a product of the needs of the people using them.